Ever wonder what to do with your child after reading aloud with them? I’ve always felt like the activity was unfinished if I just read and then moved on to another book or activity. Timothy Rasinski explains several ways to respond to reading in The Fluent Reader. Kids can respond visually, too. Students can either draw a scene from the book or describe the mental imagery they experienced while listening. I love to have my students draw while I read or after reading and then share similarities and differences in the pictures. I search for books with great description to use to teach them to create a picture in their mind to “see” what they hear. Once children are able to write and put their thoughts on paper they can use an open ended journal to write about anything they want related to what was read. They could also respond in writing to a given prompt. I use free-writing and dialectical journals quite a bit as well as providing a prompt that asks the kids to describe characters and what influences them, predict what would happen next, to rewrite the end of the story, etc. Now that my oldest son is starting to write, I want to help him begin to write in response to what I read to him. Finally, kids and students can show their understanding physically. “Tableau” is an activity where a group of students create a physical depcition of a scene from what they heard read. At home, my boys and I constantly use part of stories in our daily activities. We walk with our toes pointed in and out as in The Snowy Day, or copy the moves from Barnyard Dance. My students enjoy role playing scenes from our read aloud, too. 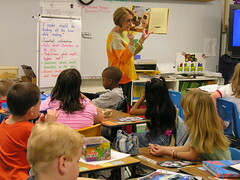 The importance of responding to a read aloud is to show you what they understood and to deepen their own comprehension. After understanding why reading aloud to our kids is so beneficial, the next step is to get ready for your oral reading. Timothy Rasinski offers components to think about when preparing for your read aloud in The Fluent Reader. First, when you read and creating a comfortable atmosphere is important. The children need to have an environment that is set up for listening. At home, our kids prefer to be read to first thing in the morning when they are still calm and quiet and at bedtime as a time to wind down and relax. We snuggle up in a comfy chair or in a bed and read a few books until they are ready to play or relaxed enough to go to sleep. At school, I choose to read for 15-20 minutes at the beginning of a class period as a warm up or at the end of the period with an exit ticket. I let my students get comfortable at their desks or on the floor so they will be more apt to listen. Next, you need to choose the right book. We make different choices for different kids and different reasons for reading. My own children tend to drive the decision of what we read out loud. They each have their favorites that they love to hear over and over. We provide a literacy rich environment for them that has several forms of text to choose from and a mix of fiction and non-fiction. We’ve read everything from Jamberry to One Fish, Two Fish, Red Fish, Blue Fish to parts of the Harry Potter series. They have even requested to hear parts of the books we are currently reading. For my students, I read either books that tie into the curriculum in their other classes or books that will increase their background knowledge and vocabulary and/or allow for use of various reading comprehension strategies. Titles like Red Scarf Girl, My Brother Sam is Dead, and Breadwinner all connect to our social studies curriculum. Others I enjoy are Touching Spirit Bear, Surviving the Applewhites, and anything by Roald Dahl. Newbery and Caldecott award winners are great options, too, and Jim Trelease provides a huge list of suggestions in The Read-Aloud Handbook. 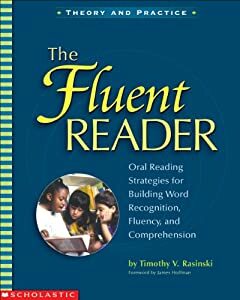 Finally, Rasinski says practicing is necessary “in order to provide them with the most fluent, and expressive example possible.” I believe it is important to be familiar with the text before reading aloud. When we have had experience with the book, magazine, newspaper article, etc., we are able to express greater meaning to our listener with how we read. 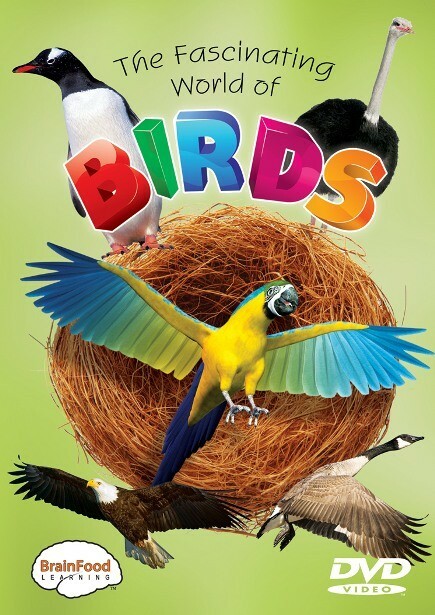 I think my years of experience reading orally to my students helped when it came time for me to read the script for The Fascinating World of… DVD series. It just came naturally for me. Knowing what parts to emphasize, when to change voices, and the best parts to change volume, tempo, or phrasing will make for a rewarding read aloud experience for both you and your listener. I think this is a wonderful time of year to teach our children about gratitude. This can be a difficult concept for young children to grasp, as they are so self-centered at this young age, so we start with the basics of saying “Thank you.” A “thank you” after receiving a snack that was asked for can lead into a “Thank you for mending my shirt” or “Thank you for helping me with my homework.” We encourage our kids to express why they are thankful. It adds meaning to their thanks. It is also important to be a role model ourselves. We need to show our own gratitude for what we have and for others. Our children need to hear us say, “Thank you,” to others and witness us tell people we appreciate what they do for us. There is a great article in the Huffington Post about teaching our children gratitude and a quote that is so well put. It said, “Children will absorb and model their parents gratefulness or lack thereof. An entitled parent will likely raise an entitled child.” I completely believe this. As a teacher, I frequently work with kids who think they are owed anything they want and aren’t taught to earn what they have. This isn’t just innate. This is learned behavior. Try allowing your children to help you when giving back to others. Whether you volunteer your time or clean out the closets to give to the needy, our kids learn from our actions. Have them contribute a toy or two to the next trip to your local donation drop-off location. I would like to find an opportunity in the future for us as a family to contribute. Maybe we’ll adopt a family and provide a holiday meal or choose a child’s wish off of the mall’s giving tree. Including Parker and Brandon in these activities will teach them to feel appreciative to have a warm home, clean clothes, and food to fill their tummies. Here are some more suggestions from Parents magazine on how to teach our children gratitude. “Children model their parents in every way, so make sure you use “please” and “thank you” when you talk to them. (“Thanks for that hug — it made me feel great!”) Insist on their using the words, too. After all, “good manners and gratitude overlap,” says New York City etiquette consultant Melissa Leonard, a mother of two young daughters. Work gratitude into your daily conversation. Two old-fashioned, tried-and-true ideas: Make saying what good things happened today part of the dinnertime conversation or make bedtime prayers part of your nightly routine. Find a goodwill project. Figure out some way he can actively participate in helping someone else, even if it’s as simple as making cupcakes for a sick neighbor. Insist on thank-you notes. Paula Goodnight, of Maineville, Ohio, always makes her girls (Rachel, 10, Amelia, 6, and Isabella, 3) write thank-yous for gifts. “When they were toddlers, the cards were just scribbles with my own thank-you attached,” she says. “As they grew, they became drawings, then longer letters.” Younger children can even dictate the letter while you write, says Lewis. “Just the act of saying out loud why he loved the gift will make him feel more grateful,” she says. Practice saying no. Of course kids ask for toys, video games, and candy — sometimes on an hourly basis. It’s difficult, if not impossible, to feel grateful when your every whim is granted. Saying no a lot makes saying yes that much sweeter. Patience and leading by example really do pay off. Parker now thanks my husband and I for various things we do. Out of the blue, he will say, “Thank you for sewing up the holes in my shirt.” or “Thank you for cooking my favorite dinner.” or “Thank you for showing me how to play Go Fish.” By reinforcing his gratitude with showing how happy these expressions make us, I’d expect him to continue to grow into a kind, empathetic young man and adult. I have so much to be thankful for this year. I have two happy and healthy boys, an incredibly supportive husband, and wonderful friends and family. I hope you make the time to express your thanks and experience the joy in watching your own children do the same. Happy Thanksgiving! I love taking my boys out to different places. I feel that getting out of the house and visiting various locations in our community exposes them to people and experiences that help shape their personalities and cognitive skills. They are both very curious beings and I have such a great time watching them express their curiosity in their own ways. Over the years, I have learned through reading or my own experience that this on-site/hands-on learning aids in achieving better grades and comprehension of school material, increased cognition and higher inquiry skills. 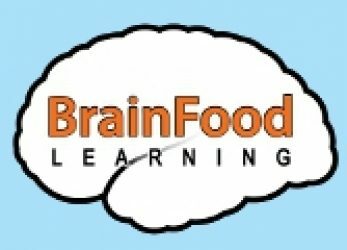 I believe this is due to developing a strong level of background knowledge that allows the child to connect to what they are learning. In education, we teach students to make text-to-self, text-to-text, and text-to-world connections. I find that I have to spend a great amount of time guessing how much background information I have to give my students before reading even the shortest of text or giving them a writing prompt. My students who have never left Bellevue, let alone travelled across the bridge into Seattle, are the ones I have to think about and preteach vocabulary and concepts for. While reading a book with a picture of a hen, Brandon imitated his experience of chasing chickens at the Kelsey Creek Farm. Brandon put on the plastic fire hat he got at the Bellevue Fire Department’s open house when we got to the fire truck in Emergency Rescue. Seeing the excitement and look of recognition in Brandon’s face when he saw animals for the first time at the Woodland Park Zoo that he had only seen in books. And who knows? Maybe their experience at one of the places we go to during their childhood with inspire them to pursue a certain profession. A future zoologist? Fire fighter? Veterinarian? Where Are My Pots and Pans??? I love imaginative play. I came home from work a few days ago to homemade soup in a restaurant in the play room. It was fabulous to play with Parker, following his lead in the land of his imagination. Yesterday, I couldn’t find my pots and pans and the kitchen utensils were spread around the house. After searching the house, I found the pots and pans in the play room restaurant. Both of the kids are pretending to prepare food, cook, and serve. They are having so much fun and I love seeing them use their imaginations to create their own environment for play. 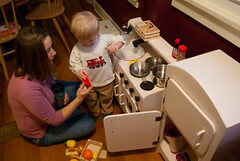 Pretend play can help children learn to develop executive function. Executive function is a set of cognitive skills that allow a person to achieve a goal. While playing different roles, children control that character’s behavior and emotions. They can develop the skills of planning, time management, working memory, and self-regulation. Experiencing success with these skills while in another role, children can generalize them as part of their own behavior. Childhood play is important for social, emotional and cognitive ­development. The challenge for me will be to provide enough props for Parker and Brandon to use for any situation they can come up with. Be it the grocery store, the jungle, a train ride, or a trip to the moon, I look forward participating in any adventure my kids take me on. By the way, I found my vegetable steamer in the backyard full of rocks. Still not sure what my boys thought they were cooking. I also incorporate the above strategies into my lessons for my non-readers at school. The idea is to make it fun and they won’t even know you’re instructing. I’m hoping one day I’ll hear one of my students self-applaud and congratulate themselves, too. This quote struck a chord with me. I think it really defines what my husband and I want for our boys. At this age we want them to remain the curious beings that they are and allow them the freedom to experience as much as possible. As they get older, this might mean that they go against the grain and investigate ways to develop their own identity. Teach them to think outside the box. Allow them to explore their own ideas and make their own unique mark on the world. So what do we do to encourage this independent thinking? We nurture the whole child. Provide them with exposure to a wide variety of people and places. Encourage their questions. We make any trip to the park, zoo, or even the grocery store an adventure and open their eyes to something different every time. I like to expose my kids to different types of music, art, and texts. We foster their emotional side with love and hugs, teaching them how to communicate effectively to meet their needs. We encourage their independence and free thinking. 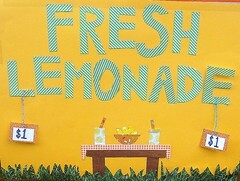 Bryce and I hope that by raising Parker and Brandon to know that they have options and what those options are, they will be happy and productive who feel confident enough to pursue their hearts’ desire, even if it’s a lemonade stand when they are young.